Here’s the thing: we’re people, not just bionic brands. That is why it is incredibly important to present our business sides with complete authenticity. Your voice is amazing on stage. Let’s make your publicity materials sing too. I hope it has not been since the first 29 Days to Diva go-round since you truly neatened your bio, resume, and promotional materials. Presenters and media need these materials to do their job more effectively and coax audiences into the theatres. What is that Jerry Maguire line again? Help me help you. With a snazzy digital press kit in your arsenal, you will be ready to seize the right opportunity when it appears. Your Day 10 Challenge is to Spruce-Up Your Digital Press Kit. Your digital press kit (often also called an electronic press kit or EPK) is meant to collate important information about you as a singer for presenters, applications, and media professionals. Try thinking of three descriptive, specific words that you want to come through all parts of your materials. Remember, this is your chance to tell people how you want them to talk about you. Let your three words be who you really are and not necessarily who you aspire to be. We are aiming for honesty and authenticity. Have you ever gone to send an application only to realize seconds before pushing the button that your bio and resume are missing key recent performances or accomplishments? Instead of pushing the button and going about your merry day, you’re scrambling to find dates, titles, and double-checking that accent aigu. Put a reminder in your iCal if you must but stay on top of these materials and have someone proofread them on the regular. Is your bio memorable? Ask your proofreader if your bio is informative but also alluring. 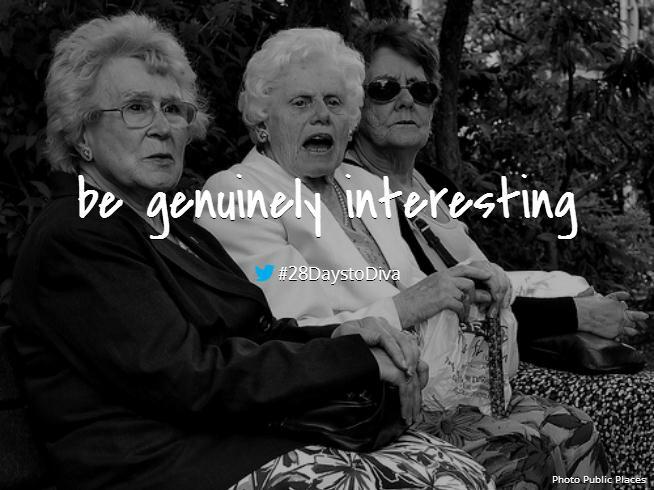 These are your moments to grab their imaginations – be genuinely interesting. Your digital press kit bios should include: 1+ short bios (100 words); 1 medium-length bio (2 paragraphs), 1 long-form bio. For short bios, I highly recommend having a few that are specific to the gig you are performing like opera, oratorio, musical theatre, and/or chamber music. Have one generic short bio that you can use if you do not feel comfortable writing a short bio specific to that genre or area. This is a no-brainer for classical singers that most non-classical musicians will not feature in their kits. Keep that résumé spotless and on one-page. Your résumé is going to show people what sets you apart from other musicians. It messages to directors what stage experience you have. Take a hard look at the accumulation of skills you are presenting via your résumé and whether they align with your three descriptive words from above. Have a selection of hi-res images at the ready with clear file names. Your selection should include black and white, color, horizontal, and vertical images. I’m sure most of you know this, but high-resolution photos are necessary for sharp reproductions. A hi-res photo is determined by the number of pixels. The higher number of pixels, the better the print quality. Your professional photographer will (almost) always give you high-resolution images. Presenters and directors are hiring you for your voice first and foremost. That is what we have spent thousands of hours and dollars on during our lifetimes. Spend the money to get decent recordings. It is worth it every time. Have a curated selection of your recordings in your digital press kit that are specific to the gigs for which you want to be hired. More applications these days are requiring video links. Save yourself some busy work and create a document/file in your digital press kit with links to the video you want to share. Did someone say something nice about you in a credible source? Use it! If Alex Ross wrote that listening to your voice is like taking a Jacuzzi in the Holy Grail, do not make someone search for that information. Put your best quotes at the top. Include links to the entire article below the quote. If there are any quotes that you think might be misleading, or do not coordinate with your keywords, consider leaving them out. You should consider including any recent interviews that you have done regarding your creative work. This is a chance to show connectivity in your field as well as some of your knowledge and passion. Interviews can often be a way of showing more of your winning personality. A sample interview might be a little much, but it can be really useful for PR departments trying to set up radio, television, or newspaper segments to promote upcoming concerts. Sending out sample programs to presenters is very useful when trying to branch out to new performance venues locally or farther afield. You worked very diligently last year to create a recital, so use it to your advantage when trying to book new gigs. You can keep your digital press kit in your Dropbox and send it manually as you need. Or, it is also useful to create a “press” or “press kit” section on your website with a link to download. Remember, you want to create aesthetic consistency across your entire kit. An easy way to do so is to keep one element the same throughout – the header. Use the same fonts, the same contact information, and the same formatting each time and it will immediately look more charming and tasteful. Want to share your digital press kit with other singers, patrons, and directors? Share the link in the comments below. I would love to see what you have put together! Love to talk Baltimore, coffee, or cop shows? Me too! Find me on twitter at @mezzoihnen.